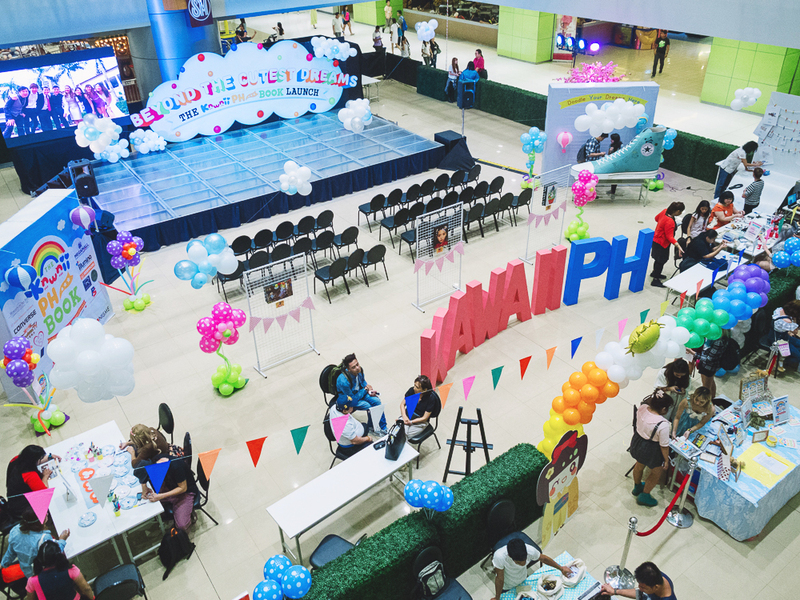 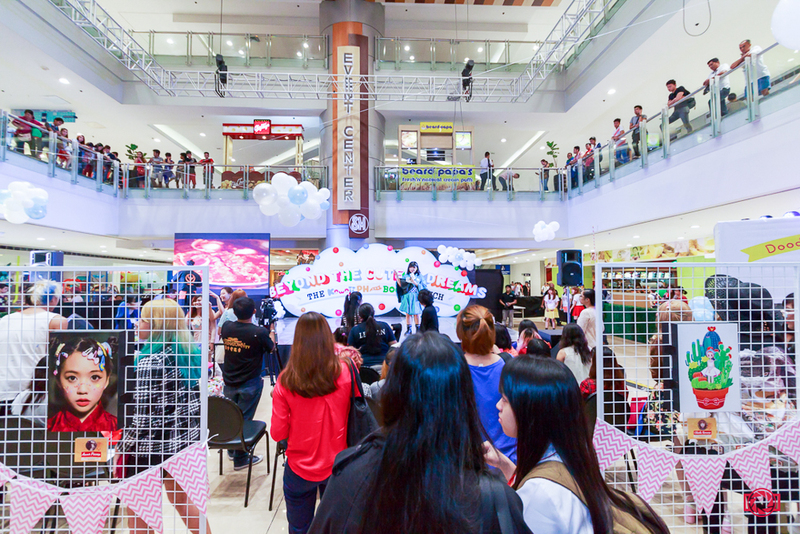 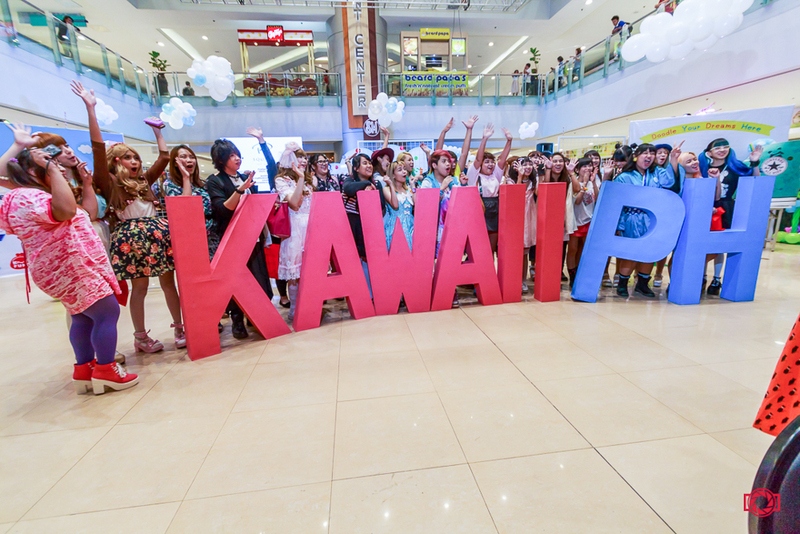 The huge Kawaii PH letters that have been around since Kawaii in Manila 2~! 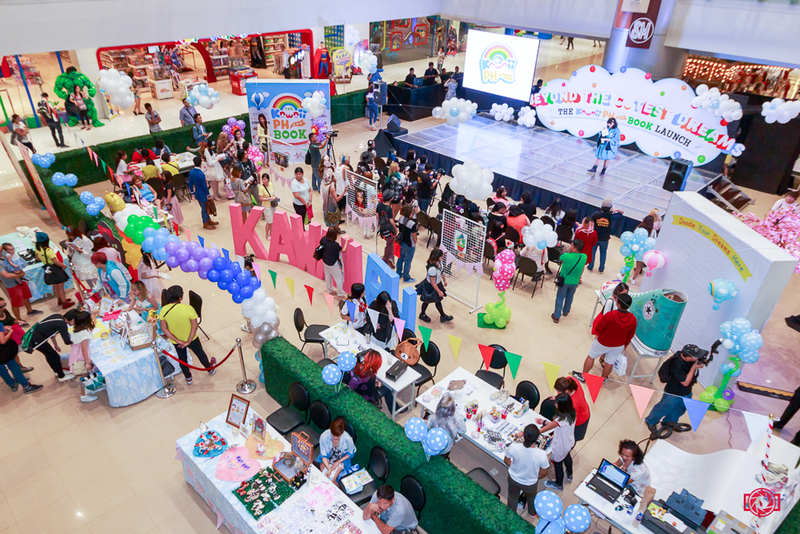 For every purchase of the Kawaii PH Book, one attendee plus his/her friend could go into the venue and participate in the various activities. 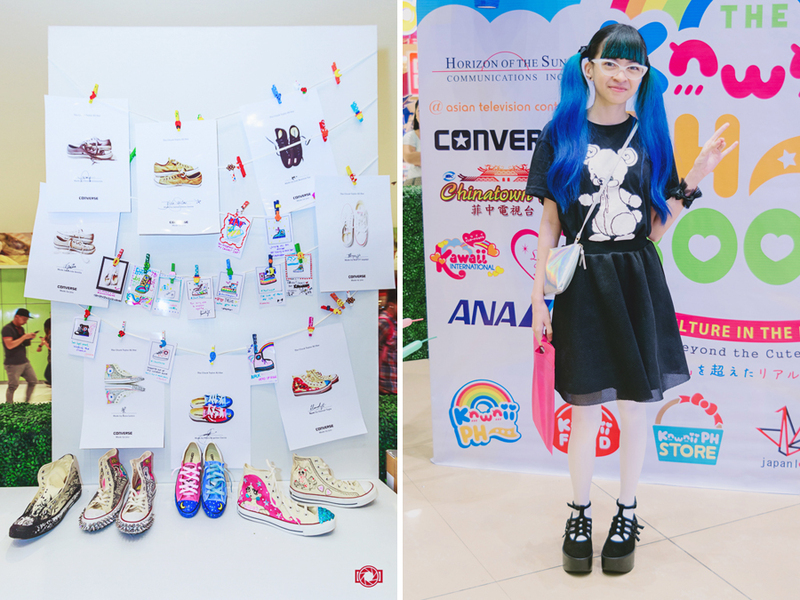 One of the activities was "Kawaii-fying" Converse sneakers! 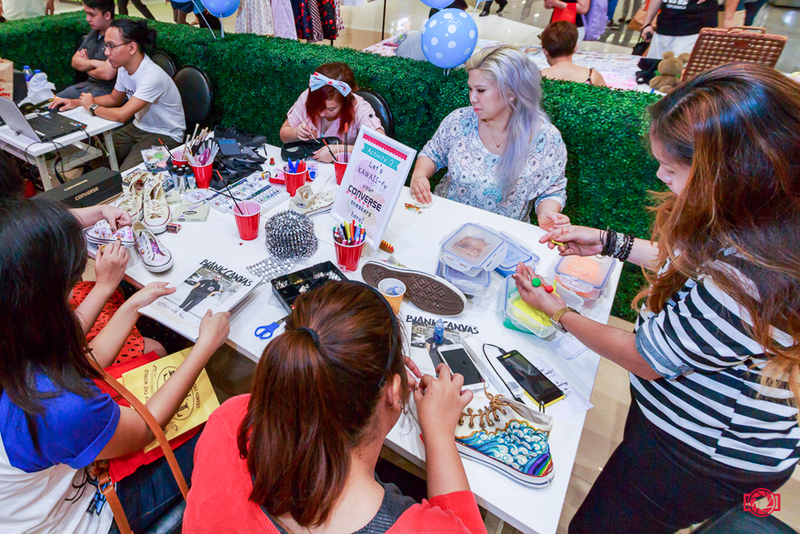 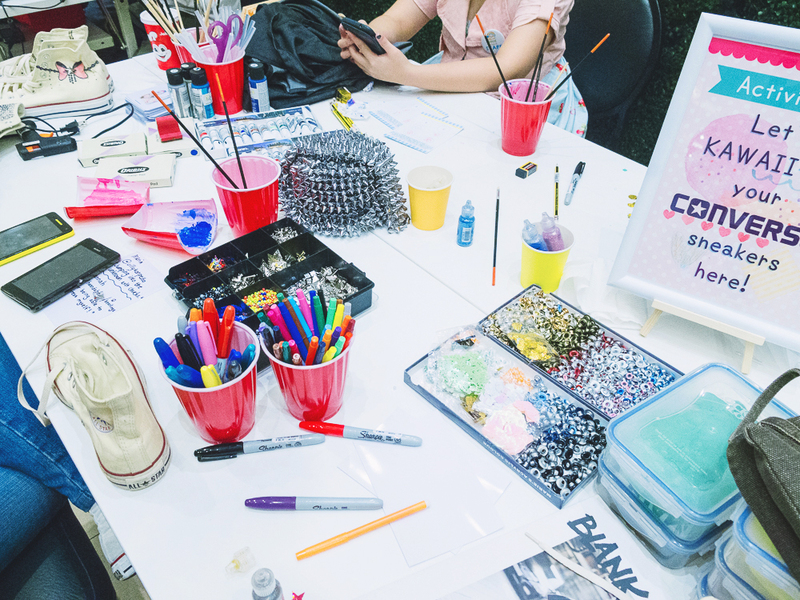 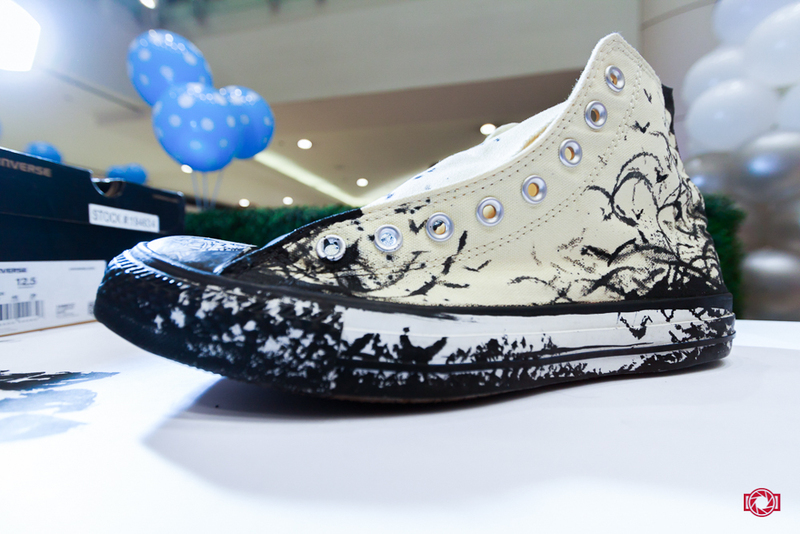 Attendees who came in wearing their Converse sneakers could go in and customize them using materials provided! 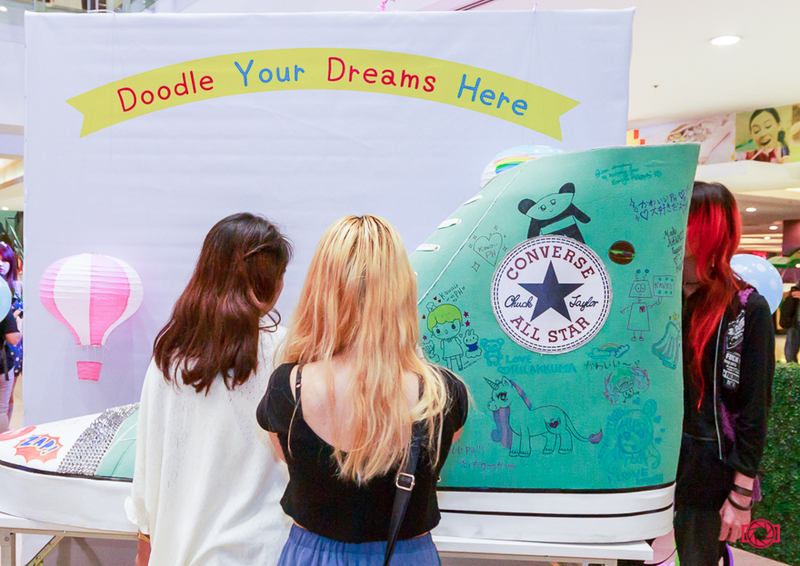 There was also this huge Converse sneaker that attendees could doodle on! 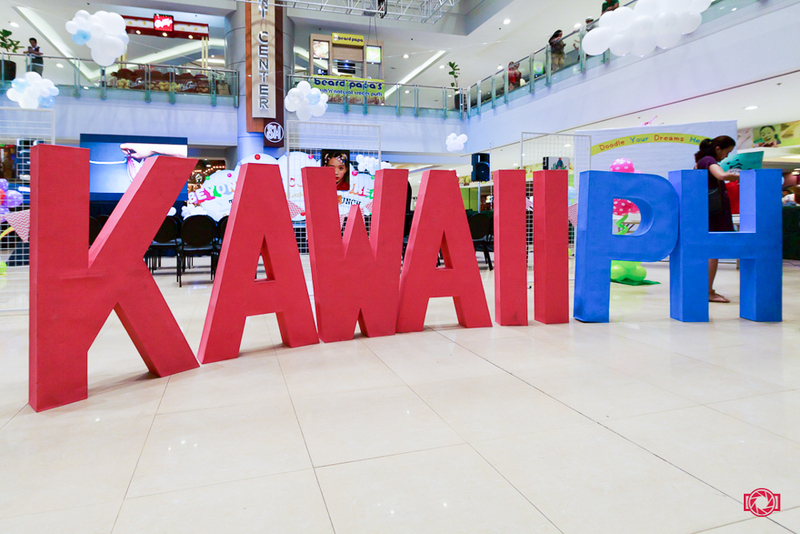 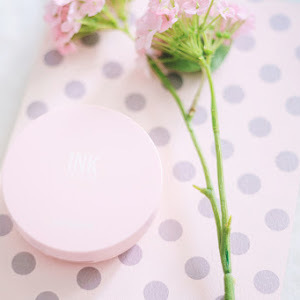 Kawaii PH = positivity + happiness! 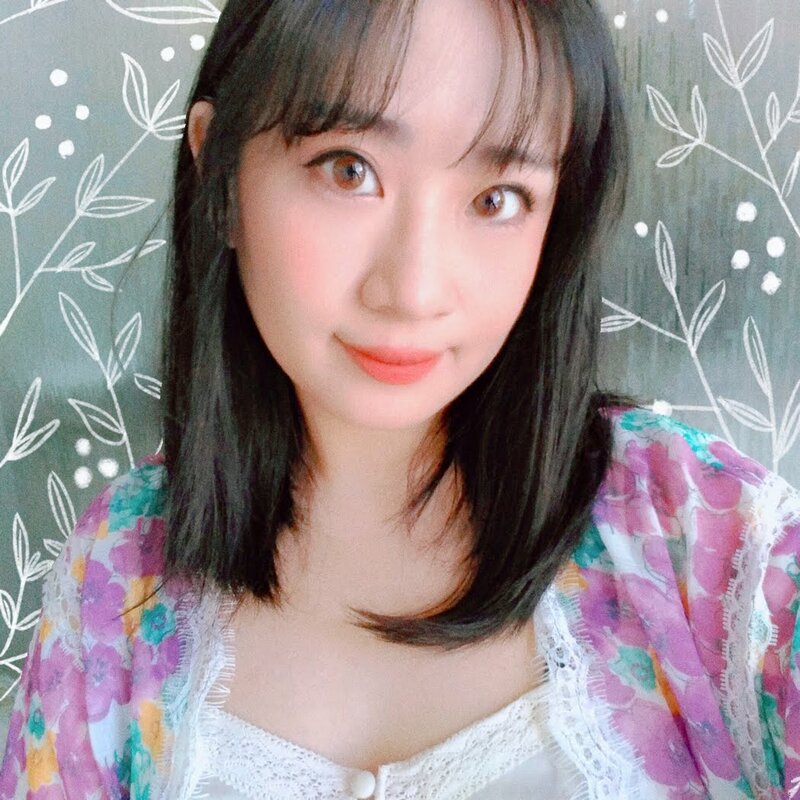 This was for a short clip for a feature on Chinatown TV, dunno if they ever aired it, haha! 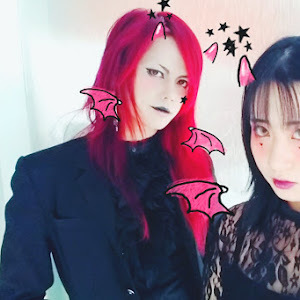 My love Ashley and me!! 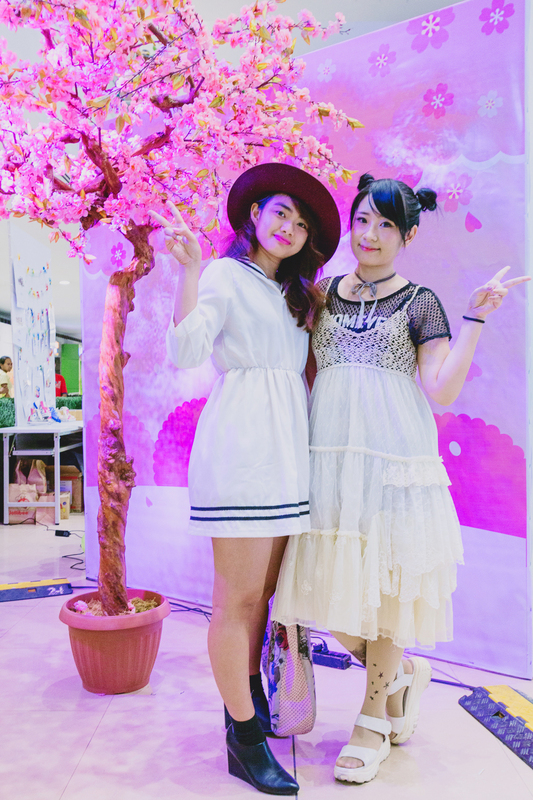 We both loved that little sakura tree, so we took a looot of photos with it! 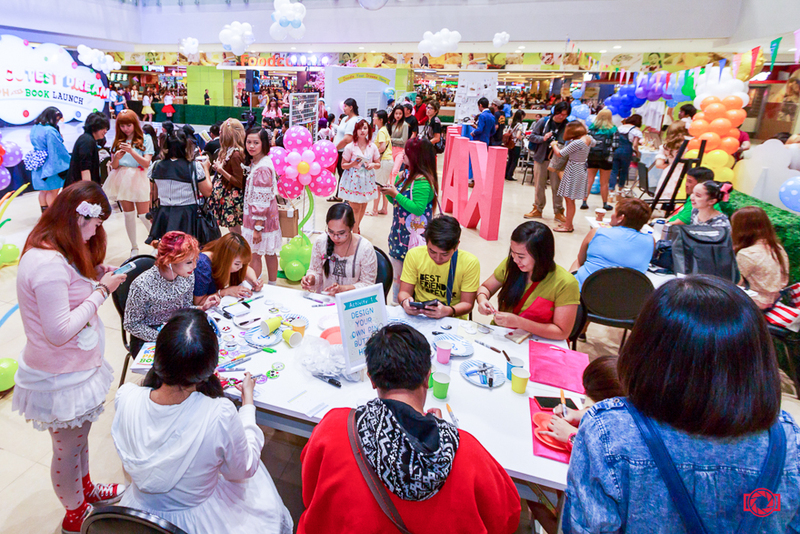 Around 5PM, people started pouring in. 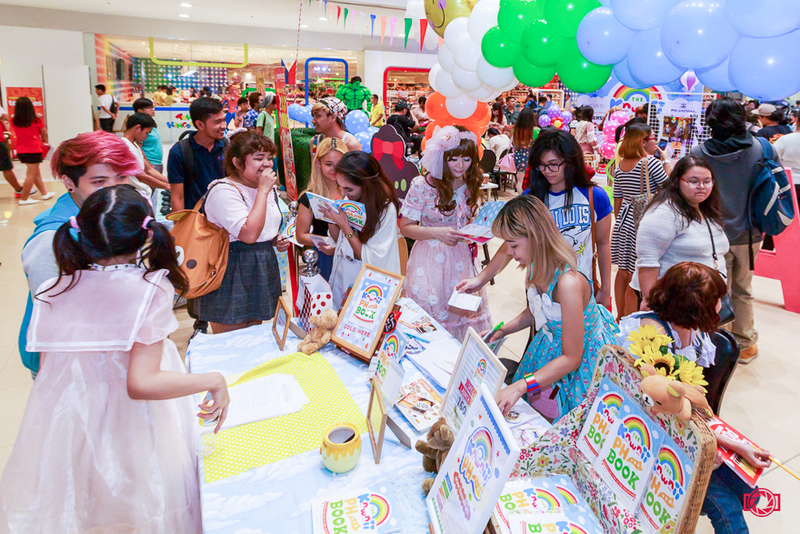 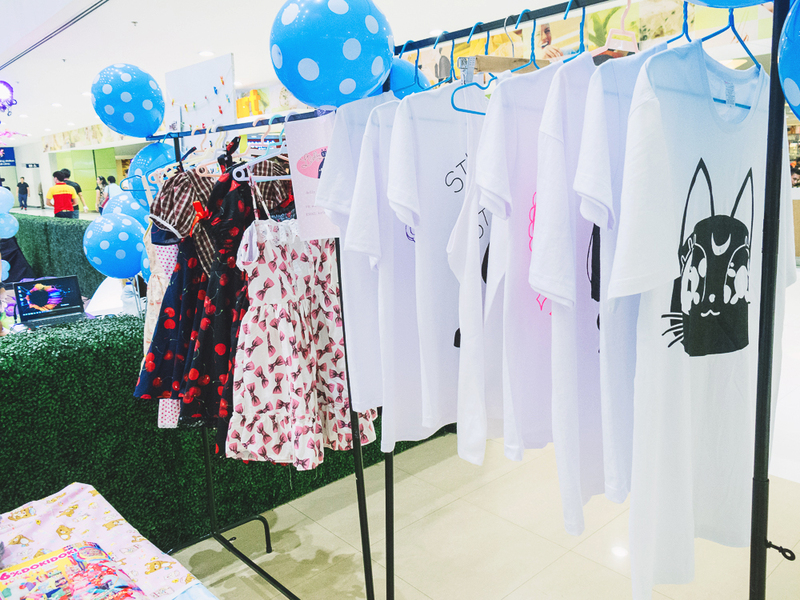 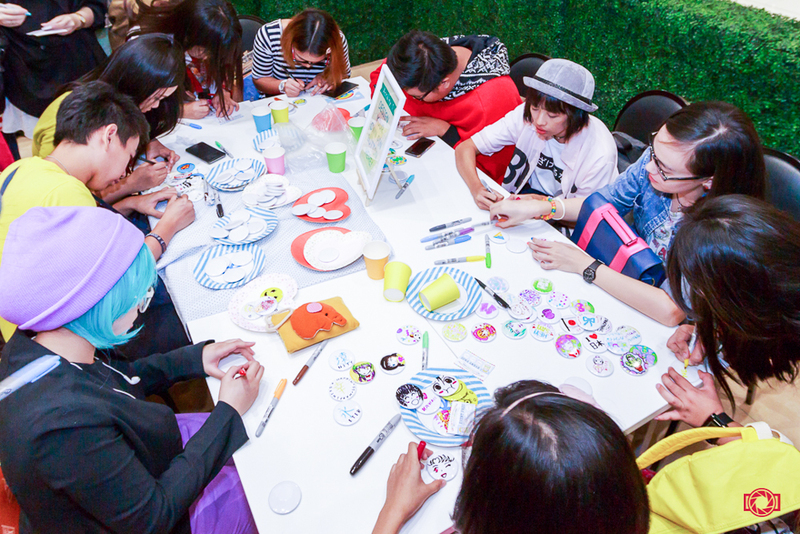 Was so happy to see so many kawaii culture enthusiasts come out to the launch! 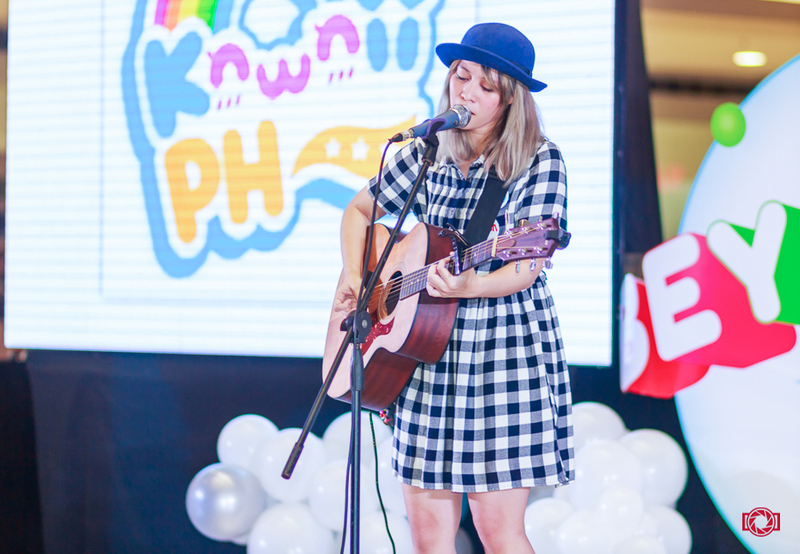 One of the highlights of the event - an acoustic set by Reese ♡ You can watch her performing Trophy Boy here! 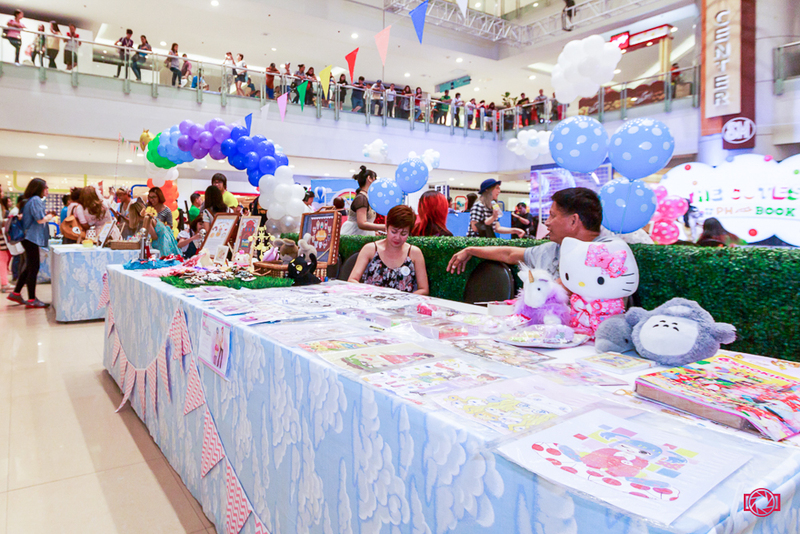 There were also games in between activities, where the contestants could win prizes from our generous sponsors! 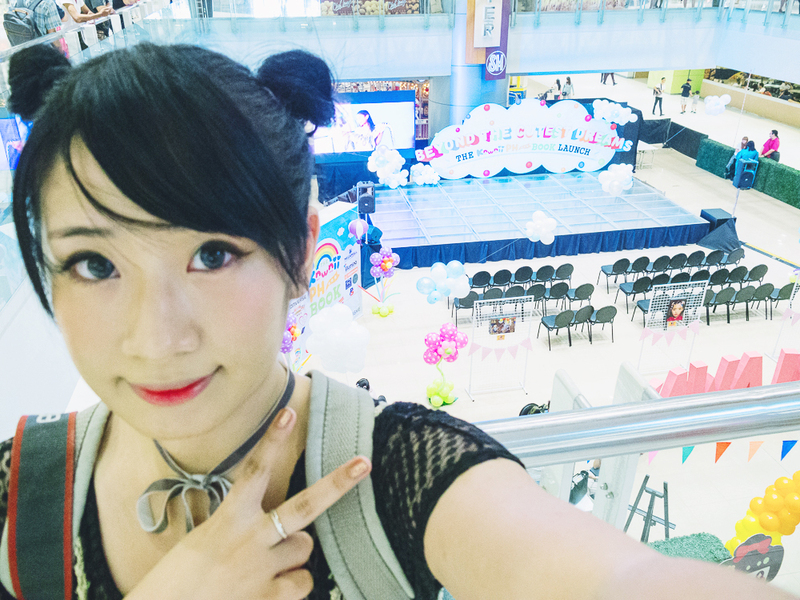 Another highlight of that day was a performance by J-pop dance cover group, Seishun Kakumei~! 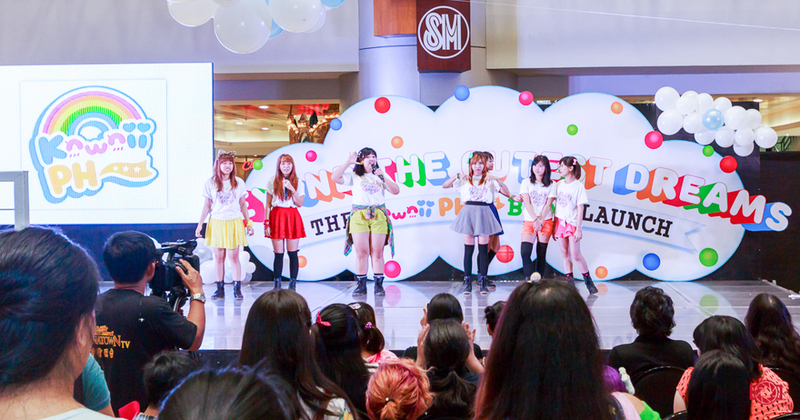 You can watch their performace of μ's Sore wa Bokutachi no Kiseki here, as well as their two other dance numbers from the event on their Facebook page! 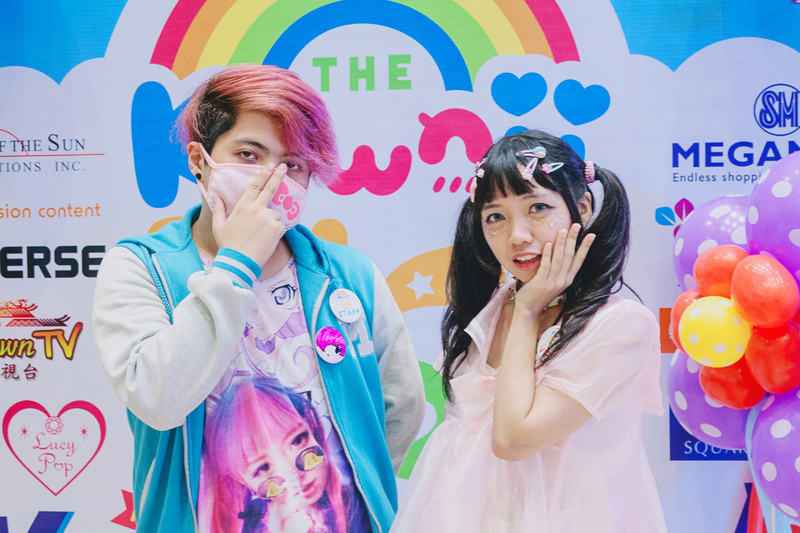 And of course, what's a kawaii culture event without kawaii fashion? 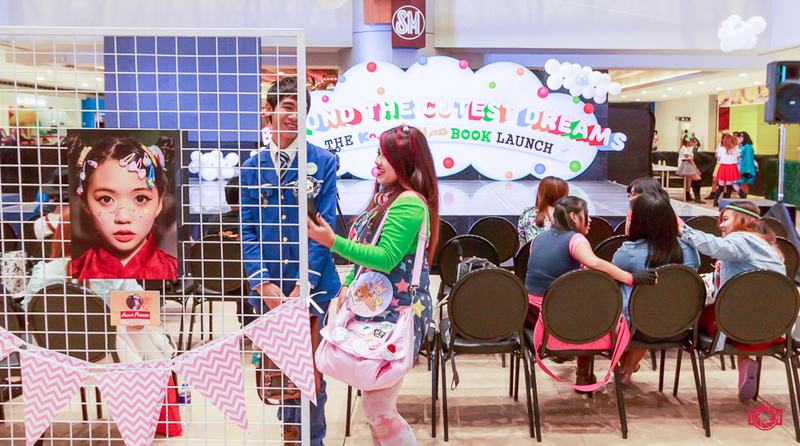 I spent most of that day running after all the fashionable attendees and taking their photos! 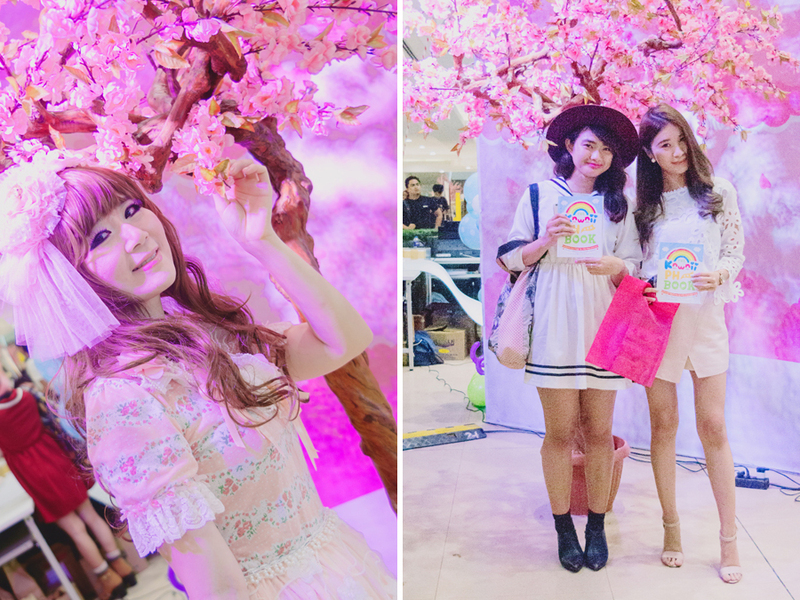 More photos with the sakura tree! 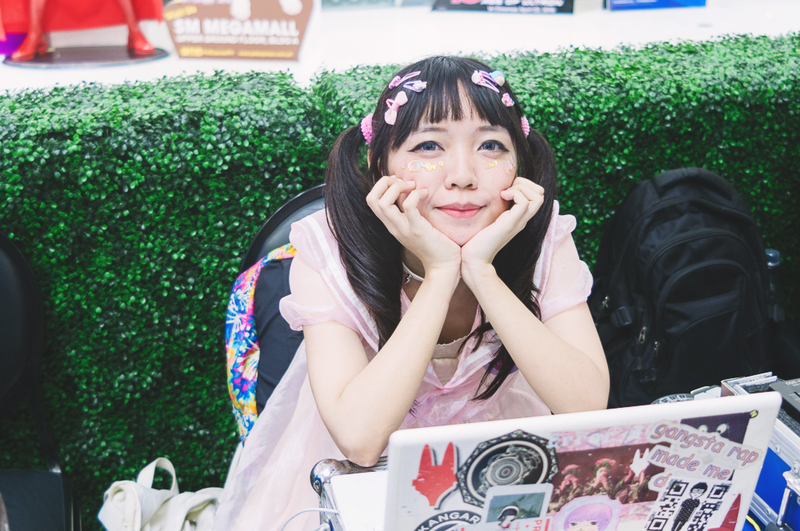 I realized while editing these that I took so many photos with that tree as the backdrop, haha! 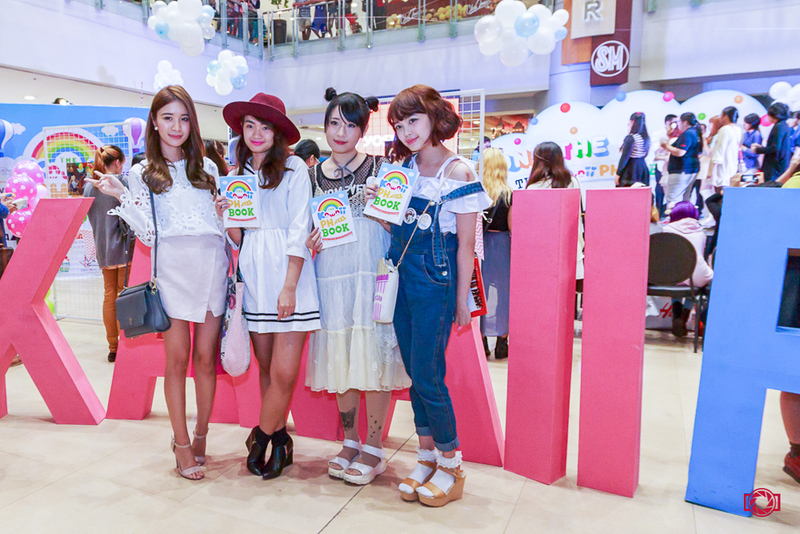 Everyone who got fashion-snapped at the event had the chance to win prizes by showing off their outfits on stage! 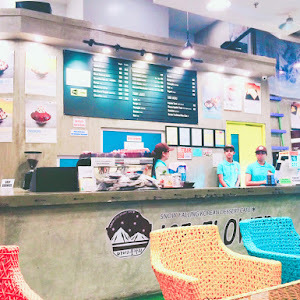 (Photos taken by Alex! 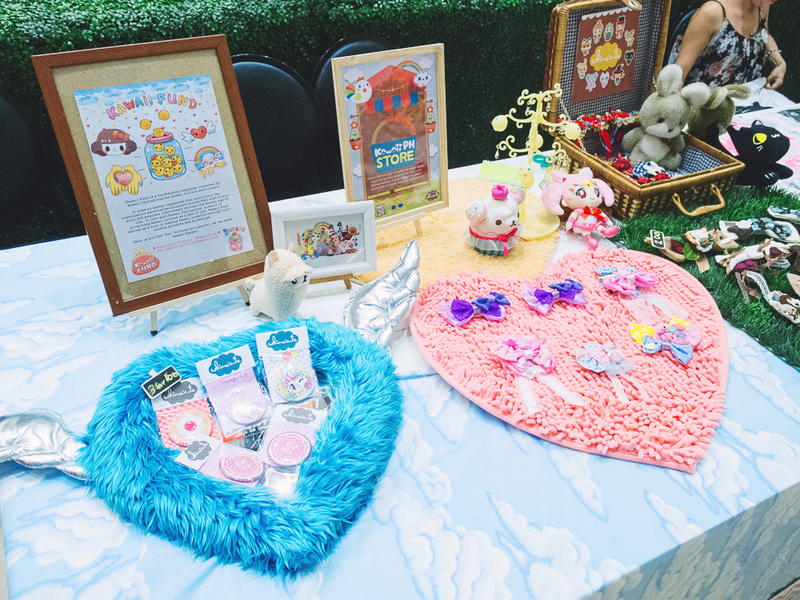 Thank you!!) 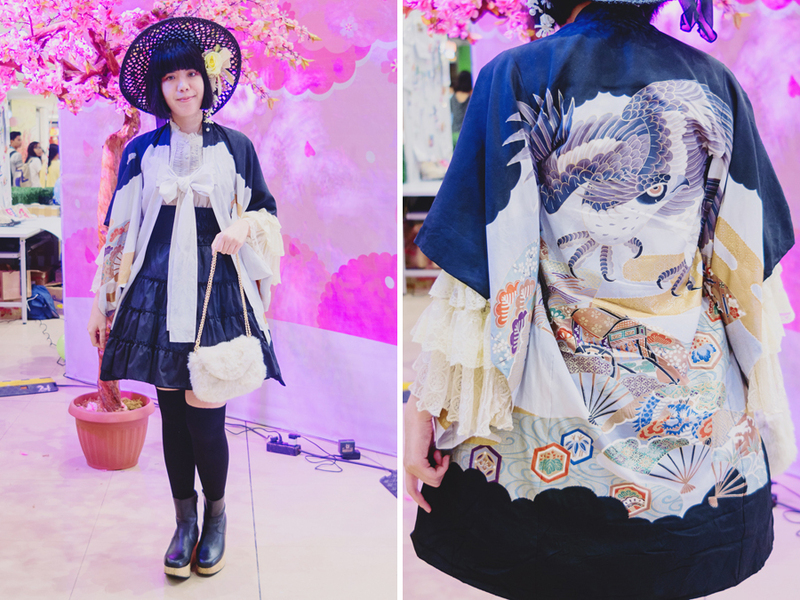 I'm so happy to see so many people in kawaii fashion and even Harajuku-inspired fashion, compared to earlier years when you could only see 10 at most, even at ACG events. 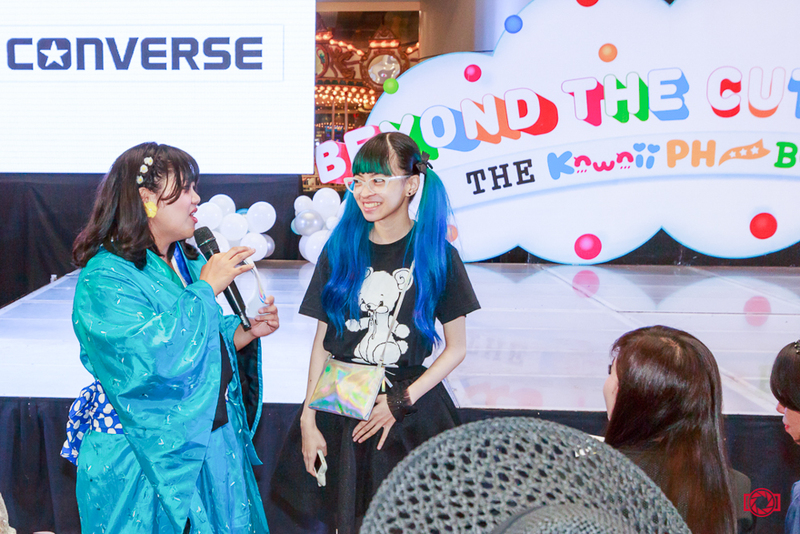 Just shows that more and more J-culture lovers in the Philippines are becoming inspired to dress up in the fashion/style that they like! 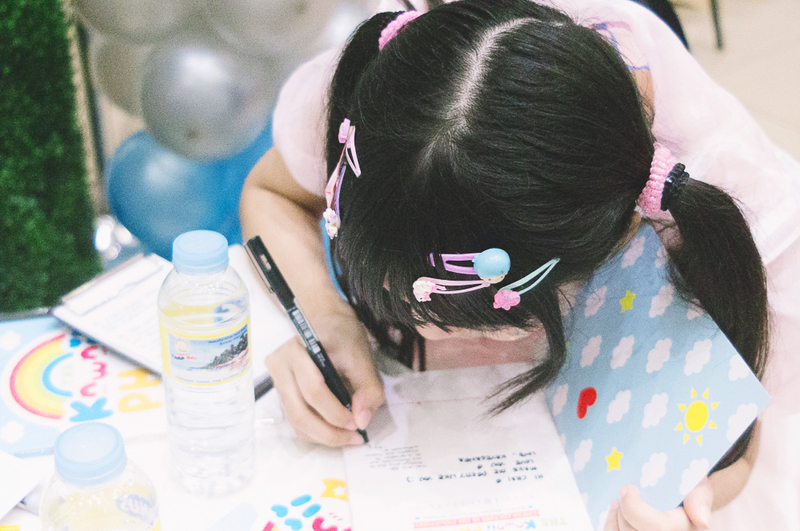 Special thanks to our friend for providing photos of the event for this post~! 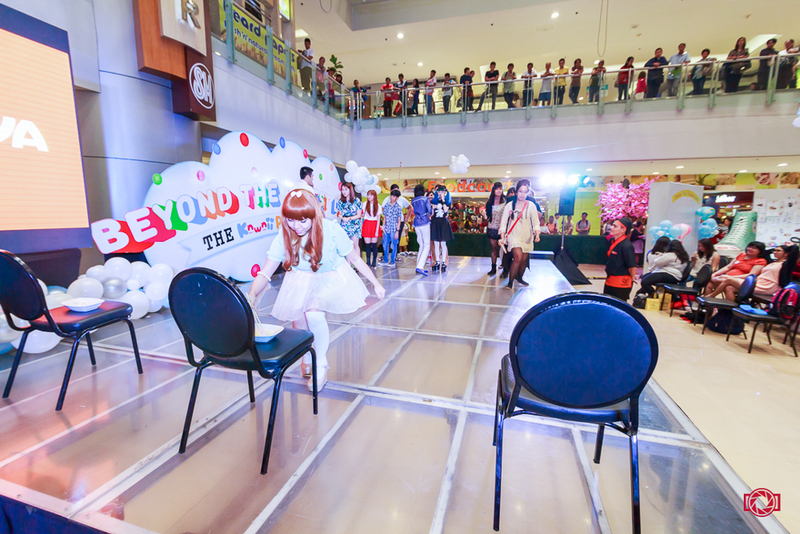 All photos with a watermark © Jaimee Delos Santos!